Home News & Opinion We’re No. 1! According to us! We’re No. 1! According to us! Let’s say that the goddess of victory, Nike, descended from Mount Olympus to offer you one of two ten-year plans. Plan A would mean your favorite team won that elusive championship—but only compiled a single other winning season during that decade, enduring eight miserably unwatchable years (call it the Florida Marlins plan). Plan B would mean your team had a winning record for all ten years, even making the playoffs nine times, but would fail to reach the promised land (the Charles Barkley plan). The team would consistently supply you with hours of entertainment but no parades down Peachtree. But we’ve gone eighteen years without a title, which rankles the true sports fans, as well it should. Tickets to most of those aforementioned playoff games were sadly easy to get, as our teams typically play before un-packed houses, their accomplishments greeted with a collective yawn. (Unless we’re talking the Bulldogs.) Blame the usual reasons: the city full of transplants, the Southern preference for college sports over the “new” pro teams that came to town in the 1960s, the bad economy, the years of Braves narrow misses, the years of Falcons irrelevance. Hosted in the Fox Theatre’s Egyptian Ballroom, the gala was a grand night out for local high schoolers, who got to rub shoulders with their heroes. Norcross High’s Alvin Kamara was named high school athlete of the year, and Jacob Wieczorek of West Forsyth High and Victoria Weprinsky of North Springs Charter High were named Scholar Athletes of the Year. Yet to those who root for pro sports (and, I hope, those who play them) the night felt unmistakably like a consolation prize. We were told repeatedly how lucky we are to be here in this world-class sports town. We were reminded that the New York media was against us. We were so showered with love and self-serving praise that you almost expected, say, a Boston sports fan to leave behind his seven titles in the last twelve years so he could come down and buy season tickets to half-empty Turner Field. The athletes were dressed the way they only are at post-game press conferences— it was as if every team from every sport had just finished a game and the players were psyched to show off their new pocket squares. Had there been a Best Dressed Award, I would have named Orson Charles—the UGA tight end who left school for the NFL draft as a junior but has returned to classes during the off-season. He wore an excellent red blazer with white piping that came dangerously close to looking like a bellhop’s uniform, but was stylin’ nonetheless. The night’s silent auction provided a helpful opportunity to see how the different Atlanta teams—and their fans—value their players: an autographed Josh Smith jersey was considered a $150 value but received a lone, $75 bid; a signed Julio Jones jersey was valued at $450 but started with a lone but respectable $225 bid; and a signed Dan Uggla jersey was offered at $150 and received zero takers. 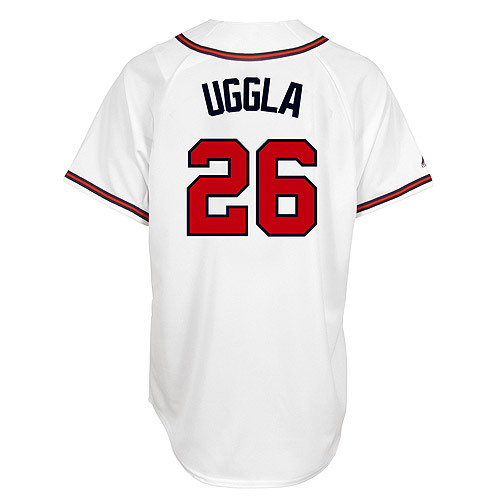 After the auction, we—wait, Dan Uggla? Seriously, Braves? Did Heyward, the Upton Brothers, and Kimbrel have hand cramps? In case anyone is wondering, Mike Smith’s hair is even whiter and his skin even redder in person than on TV (he was named Coach of the Year). Baseball caps have long disguised the fact that Chipper Jones, God love him, looks slightly demented when he smiles, with those playfully devilish eyebrows curling around his narrow eyes (he was given the Lifetime Achievement Award). Matt Bryant likes his suits very shiny (he was awardless, but co-host and radio personality Sandra Golden got him to repeat on stage some smack-talk he’d aimed at the Panthers, after a game the Falcons had lost. Panthers players are no doubt outraged by the repeated smacktalk and will fight back at their upcoming Charlotte Metro Area Sports Awards Night). The award for Best Team was won by the Falcons (the crowd duly rose up) and was graciously accepted by Arthur Blank, his red tie, and his mustache. The man knows how to run a team, and he vowed to win more impressive hardware soon. That’s the thing: no offense to the Atlanta Sport Council, but there’s really only one trophy our pro teams and their players should care about, and it isn’t the one with the big A whose design bears an unfortunate resemblance to the 85/75 split. If Matt Ryan proudly displays his second Atlanta Athlete of the Year Award on his mantle, Falcons fans are in trouble. To his credit, Ryan joked that the award should have gone to Tony Gonzalez, as a way of coaxing him to stay in Atlanta. Also to his credit, Ryan wore a very cool tie, narrow as a typical Falcons margin of victory. My choice for coolest moment of the night goes to the Community Spirit Award, won by Georgia State University men’s basketball coach Ron Hunter. He runs a nonprofit that provides shoes to poor children, and he coaches one day a year barefoot to raise awareness. Next month Atlanta will host the seventy-fifth Final Four, and Hunter announced that in the next three weeks, his group will distribute 75,000 shoes to Atlanta kids. Who are very, very fortunate to be Atlanta sports fans.